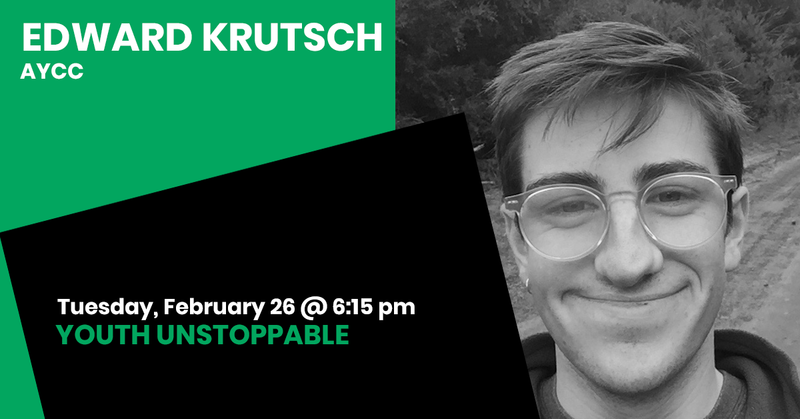 Ed is an 18 year old Campaign Volunteer for the Australian Youth Climate Coalition, currently coordinating the Macnamara federal election Campaign. Throughout high school which he finished in 2018, Ed was part of the AYCC’s Student leadership program and also the coordination effort of the first national School strike for Climate in November 2018, which he spoke at. Later that year he was a part of a large group of young people and school students removed from Parliament house in Canberra for staging a sit in on the marble lobby of parliament house. Ed has also pushed for environmental action in his School and community, Receiving a VCE leadership award whilst in year 12 for his work to incorporate Climate change and environmental activism into his schools Curriculum as well as promoting general environmental consciousness among his peers. Earlier this year Ed also assisted the City of Port Phillip to host their first ever Eco festival. Beyond this, Ed is also passionate about getting into the Outdoors, Including Hiking, swimming and cycling and in early 2018 received his Queen scout award for his Contribution to Scouting. Ed is currently working with a group of High School students to coordinate the Next International school strike for March 15th!